A 106 metre long and 15 metre wide steamer wrecked four miles from Fuengirola and just over two miles south of Punta de Calaburra lighthouse, the SS Menapier lies in the coastal waters of Mijas Costa. She was constructed in 1907 in England and was first known as Lady Garrington. 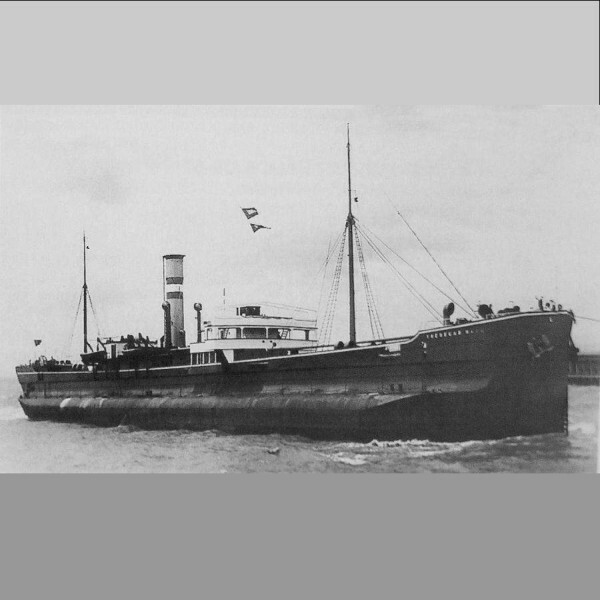 Renamed some years later to SS Menapier, she sunk on 17th November 1917 after a collision with SS Iddesleigh while on passage from Villaricos to Gibraltar with a cargo of iron ore. The depth, sometime darkness and possibility for strong currents create conditions that make “El Menapier” suitable only for very advanced divers. The dive can be done on air but the site is also popular with nitrox and Tec divers. The mooring line is connected to the deck of the stern at a depth of 37m and by connecting a guide to the mooring line, the diver has a descent line leading directly to the wreck and its vast amount of marine life that shelter here from the open sea. The wreck itself is well preserved and the hole caused by the collision can clearly be seen on the hull. Just off the bow, the seabed can be reached in 48m depth. By limiting the bottom time to about 17 minutes, this impressive wreck begs for repeat dives to fully appreciate its scale and its wealth of fish that call it home: Groupers, Congers, giant Spider Crabs, Anthias, Dentex and Greater Amberjack. Includes one or two guided dives, full equipment rental, transportation to and from the dive site by RIB boat, plus light refreshments (bottled water, fruit juice, cookies and après-dive beers). The wreck is huge. The fish were huge. I could easily have spent a week diving on this monster and still not be bored. But it’s not for the faint-hearted though. Thankfully the guys at Simply Diving know how to dive this wreck and I felt in very good hands.